Like the prodigal son, Chip Parker, a teenager, abandons his family and sets out for good times, but with heartbreaking consequences. When he finally comes to the end of his selfish quest, he learns what he really wanted all along—the gospel message and the Christian family he forsook. 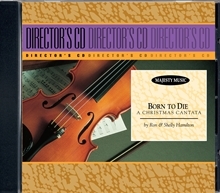 For a Christmas musical that your church will long remember, your choir should present Born to Die.